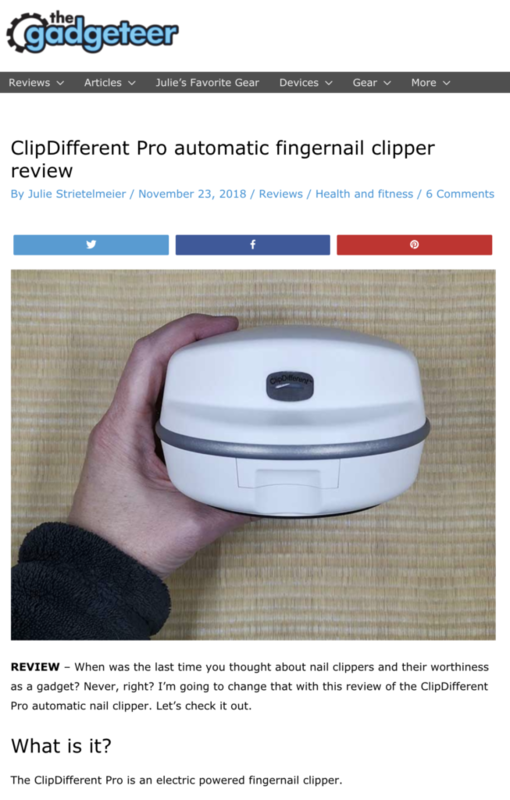 With the ClipDifferent Pro automatical fingernail clipper, I just flip the switch and stick my nail in the slot with the blade that is continuously moving up and down. You can only insert your fingernail in the slot until the flesh of your finger presses against the front of the unit. As you do, that section of the fingernail is clipped and the clipping is deposited in the clipping drawer inside the unit.